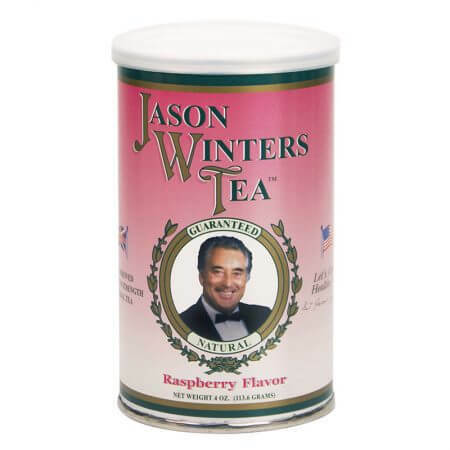 This tea contains the same ingredients as his world renowned Classic Blend Tea, with the addition of Oolong! All it takes is 1/2 teaspoon to make one cup in about 1-2 minutes. Almost instant! 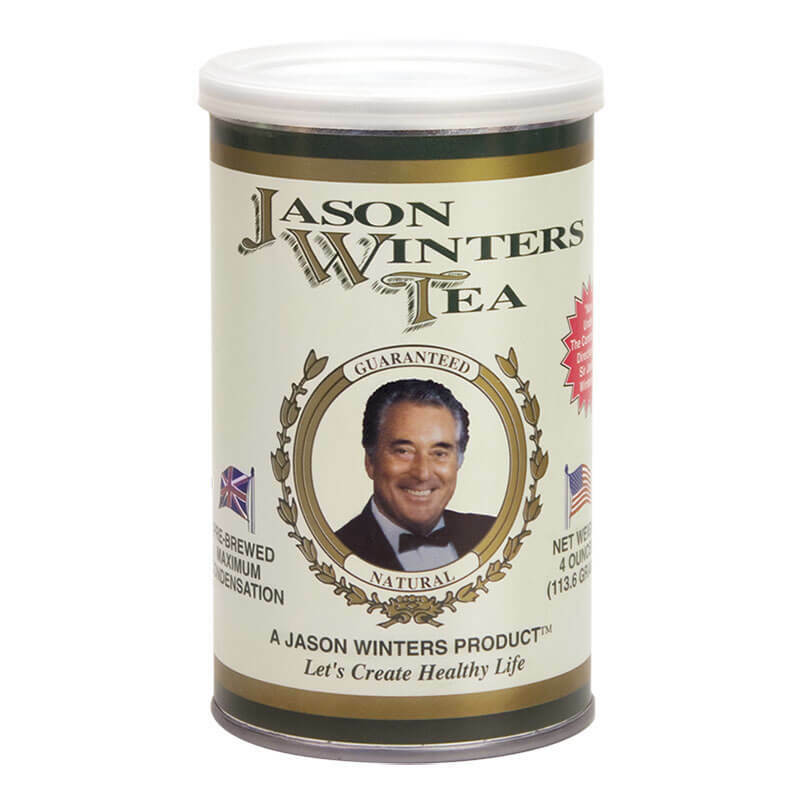 JW Prebrewed Tea is a concentrated, high potency blend, so you can enjoy up to 95 servings from the smaller 4 oz can. Choose Either Unsweetened or Sweetened with Natural Stevia! Use one half (1/2) teaspoon in eight ounce cup. Allow to steep one minute. Sweeten to taste. Drink one cup before and with each meal. Can be made into sun tea – one teaspoon per pint. Red Clover, Indian Sage Leaf, Oolong Tea Leaf, Herbalene® Blend (special spice), and Natural Flavors. 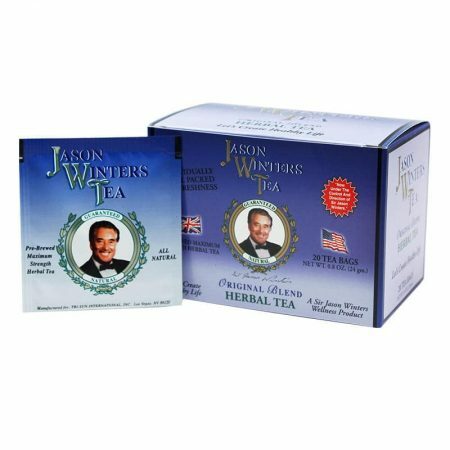 The same herbal combination as JW Classic Blend Tea, only pre-brewed to allow for a shorter brewing time. Original Flavor. What a wonderful product! Truly a Godsend. So grateful and inspired by Sir Jason’s story and victorious discovery. I have so much energy to enjoy life and be there for my loved ones. Enjoying the tea, hot and cold, has helped my gout and I was able to quit my soda addiction. After losing my father and uncle to cancer, I drink the tea with my mother and we thank you for our health. Discovered these products and absolutely LOVE them. The pre-brewed is my favorite. Like to place 1/2 tsp in a keurig k-cup + brew a quick pick me up. Peach is my favorite…but I love the original too. Just ordered the green tea. Looking forward to trying them all. Really delicious flavor and such a bonus that it is good for you too. Thanks for fabulous products. I just recently purchased the pre-brewed tea, and received it remarkable fast! I drink 3 cups of it each day, and am very optimistic that will help me very much. I have non-small cell lung cancer, and am feeling some better ever though I have been drinking it only a short time. It already has given me a lot more energy, and I am looking for much more. 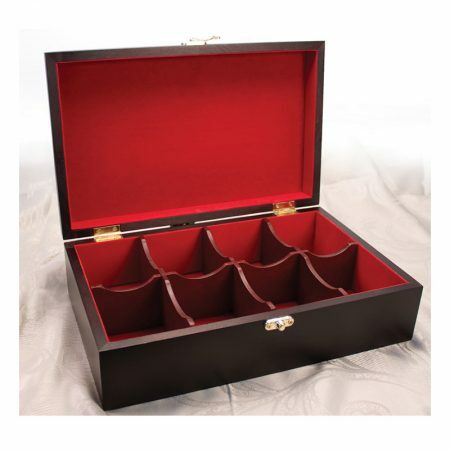 Thanks for making this tea available… Website is easy to order from, and very informative. 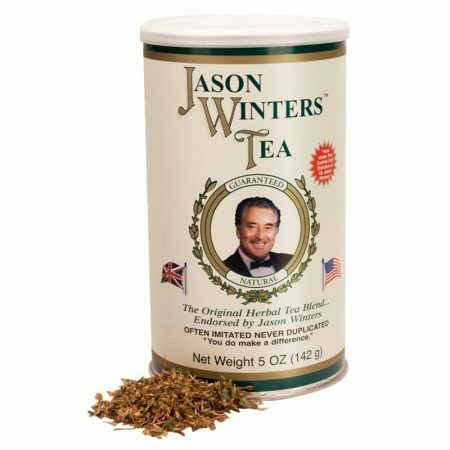 I have just started drinking this tea and I LOVE it!! I am using the peach tea at the moment and i drink 2 cups a day. It is delicious, refreshing and I know it is good for me!! I’m going to grab a cup right now! Thank you, Jason Winter’s! !